This cuvée is called “Sleepless night” since the winemakers harvest their grapes at night to avoid the strong sun of Provence. Nocturnal grape harvests insure fresher, fruitier and more generous wines. A wine to drink all night long! Destemming, crushing of the berries and pressing. 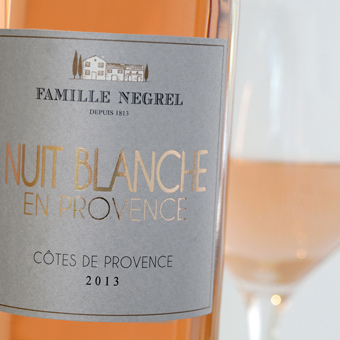 A refreshing, dry and fruity rosé. An attractive pale colour. On the nose, delicate scents of flowers. 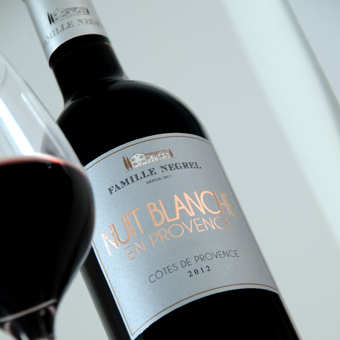 The mouth is elegant with a pleasant freshness on the finish. Serve at 10°c. 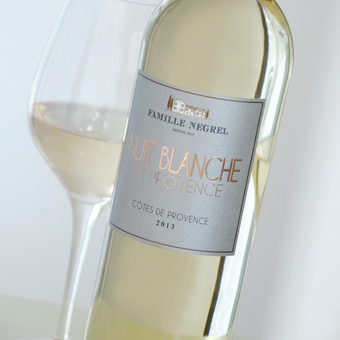 A bright colour, scents of tropical and white fruits along with floral notes. The palate is elegant and fresh. Harvested at full maturity, destemming. Alcoholic fermentation at 30°C with pumping-over and delestage. Blending and maturation in vats. An enticing red wine with character. The nose is intense, displaying notes of fresh red fruits and herbs. The palate is rich and supple, with a delicious red fruit opulence.